(MoneyWatch) After you complete a job interview, you presumably follow it up with an emailed "thank you" note. But do you also pair that with an old-school, handwritten one sent via snail mail? I do. I figure, the worst-case scenario is that the employer decides if I'm right for the job is before the letter arrives, in which case it's still a nice gesture that may further the relationship whether you get the job or are considered for one in the future. Splurge on stationery. If you're taking the time to write a note, spend a little extra for a good quality card. "Don't use colored paper. Go for cream or bright white, a heavyweight stock with a high-quality finish," notes Meghan M. Biro, CEO of career management firm TalentCulture. " A design is OK if it's neutral -- no embossed high heels or flowers. Stationery embossed with your initials is OK, but stick with block letters and black ink." Use a good pen. Your note is all about presentation, and the right tools are essential. 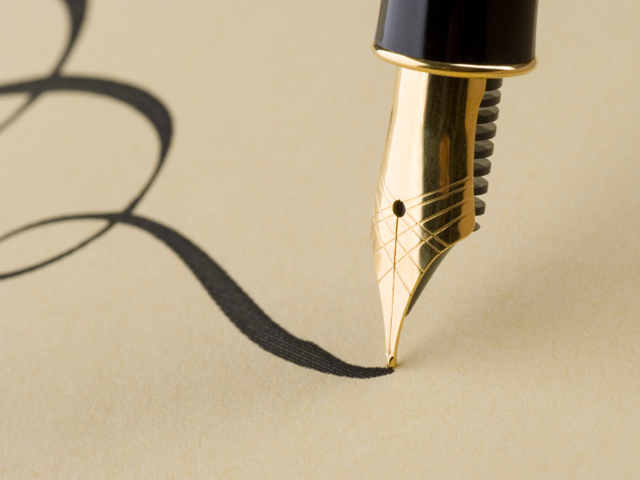 "A fountain pen is ideal, with blue or black ink. If you don't have one use a rollerball or gel-ink pen," Biro says. Practice and see what you're comfortable with, and what looks the most professional. Reference key points. Immediately after you leave the interview, jot down a few things to possibly mention in your note, while they're still fresh in your mind. "Provide relevant feedback about the role and align your background supporting why you are a solid fit," Shilling says. Triple-check your spelling. You can't rely on spell-check with a handwritten note. And even spell-check can't fix sloppy human error. "I've received a few notes that were not addressed to me," says Shilling. Yikes! Make it snappy. Send your email immediately, then get your physical note in the mail by the next morning and consider sending it priority-mail. "Many employers expect a 'thank you' note within a day's time. If a thank-you note is not received in a timely manner, the candidate may be viewed as unprofessional and uninterested," says Courtney Eidel, vice president of human resources and quality assurance at Community Options, a nonprofit that helps people with disabilities. She agrees that even if it's not received "in time," a written note isn't a waste. "I am often touched when I receive a thank you note in the mail." Don't be stingy. Don't just send a note to your primary contact; send one to everyone you meet with during your visit. "Ask for a business card at the end of each interview. If one isn't available, you can always research their name online or check with the receptionist," Eidel says. You may also send one to anyone who got you in the door, like a recruiter or peer. Know your limits. Is your handwriting hopelessly sloppy or childlike? Skip the handwritten note. "Stick to email if you have poor handwriting. You may adversely impact your chances if a sloppy note is the last impression you leave," Shilling says. Avoid gimmicks. You're trying to get someone's attention, but not in a bad way. "The worst thing I ever saw was a job-seeker who included event tickets in a thank-you note. Other peeves are colored or scented paper, scented or colored ink, misspellings, 'cute' stationery, bad grammar, insincere language, and any form of begging," says Biro. In these cases, a note can actually hurt more than help.